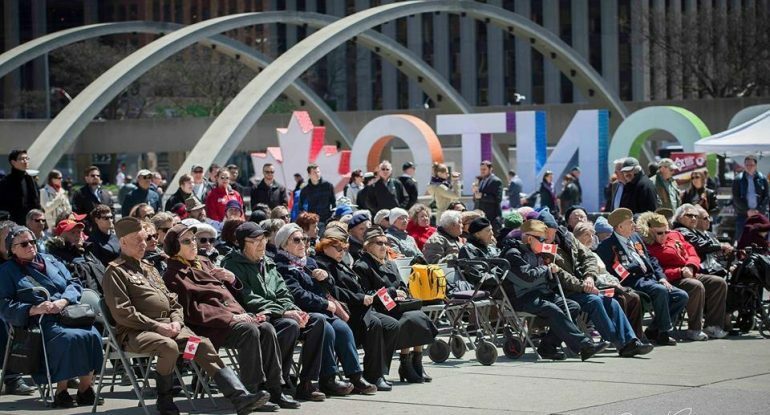 On Tuesday, May 8, 2018, we will be commemorating World War II V-E Day and Victory Day with a ceremony in Nathan Phillips Square outside of Toronto City Hall. V-E Day, May 8th, and Victory Day, May 9th, commemorate the unconditional surrender of the armed forces of Nazi Germany in 1945. We would be honored to have you join World War II veterans, elected officials and representatives from the Allied countries as we pay tribute to the sacrifices and courage that ensured our freedom. In the event of inclement weather, the ceremony will be held in the Toronto City Hall Council Chambers.